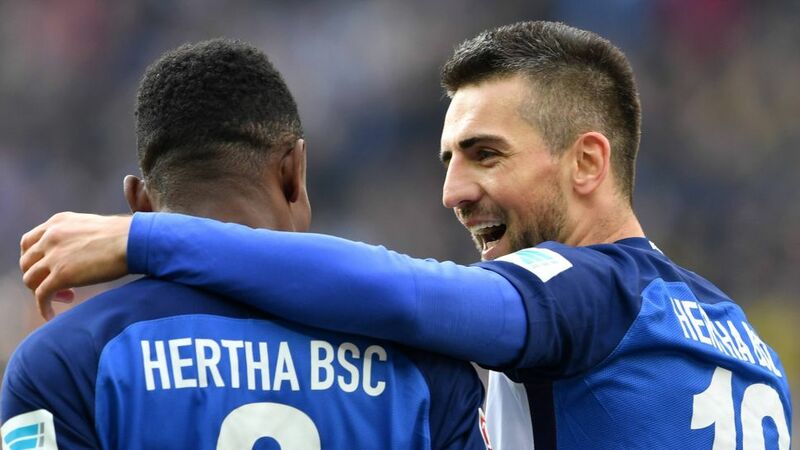 Hertha Berlin will be looking to keep their European push on track when welcoming relegation-threatened Augsburg to the Olympiastadion on Sunday (kick-off: 15:30CEST/13:30GMT). Click here to make sure your Official Fantasy Bundesliga team is in order for Matchday 28! Mitchell Weiser remains out for Hertha - his absence goes some way to explaining why the capital city side have struggled in losing the last two games - but Palko Dardai, the son of head coach Pal Dardai, could be given a run-out from the bench. Captain Vedad Ibisevic is back from suspension. For their part, Augsburg will be missing influential defender Martin Hinteregger due to suspension, although Alfred Finnbogason and Raul Bobadilla, who fired the club to safety last season, are both fit. Hertha have picked up just ten points in the second half of the season and would therefore need to win all their remaining seven games to beat their haul from the first half of the season (30).Augsburg have gone five games without a win, picking up just two out of a possible 15 points.Pal Dardai has yet to concede a goal against Augsburg as Hertha coach.There have been just three goals in the last seven meetings between Hertha and Augsburg, two of which came from the penalty spot.Augsburg have lost three of their last four away games, winning the other at Darmstadt.Vedad Ibisevic and Paul Verhaegh are the most prolific penalty takers currently in the Bundesliga, with 17 and 18 successful strikes respectively.Hertha have two former Augsburg players on their books, in Alexander Esswein and Sebastian Langkamp, while two former Hertha players – Christoph Janker and Gojko Kacar – now play for Augsburg.